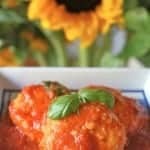 There are so many ways to use fresh garden tomatoes, but here is a list of a dozen of them, that are mostly Italian inspired recipes. I have just had to pick all of my tomatoes, green ones and all, because we’re having such extreme heat that the tomatoes were literally being cooked on the vine! I’m so sad because now I only have one plant left that isn’t in direct sunshine. 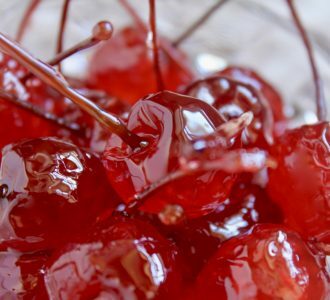 That said, I know that people with larger gardens have the same issue during the summer: too much fruit at once, which is why I decided to put a dozen of my favorite tomato recipes all in one post so that anyone who needs some new tomato ideas has plenty of choices. Enjoy! 2. 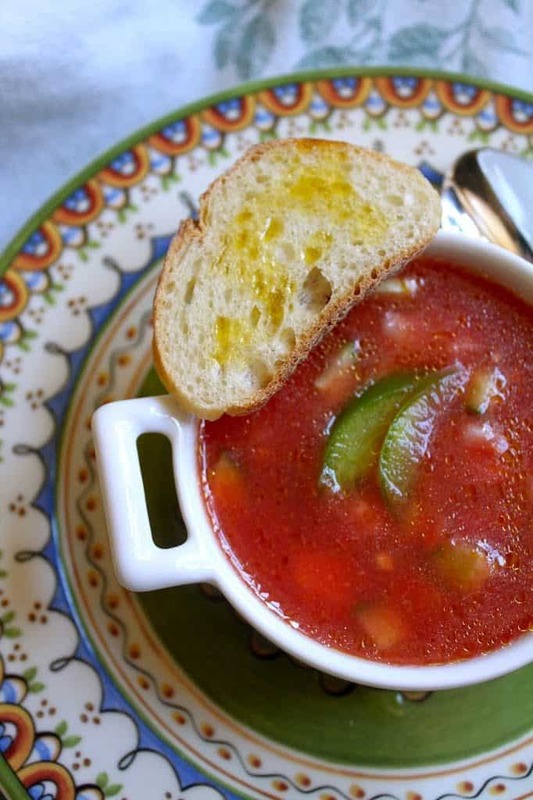 GAZPACHO is the perfect summer soup for hot days because it’s served COLD. So nutritious and tasty, too! 3. 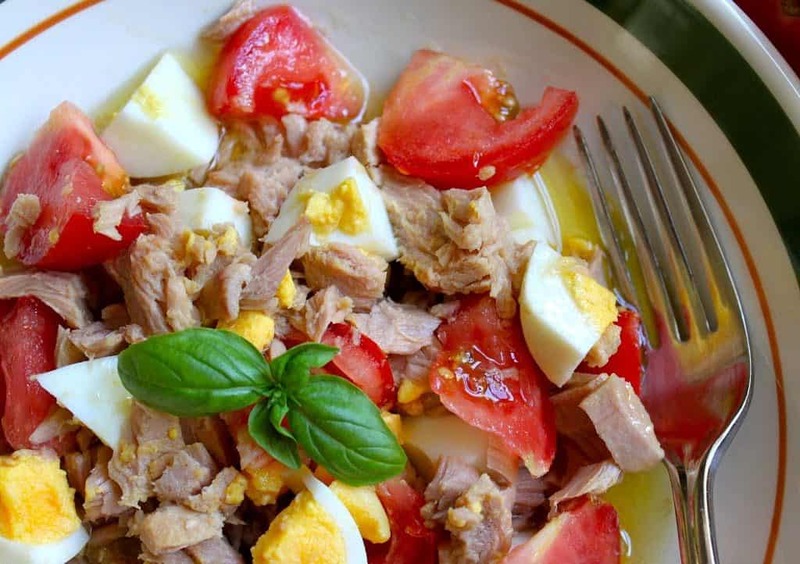 ZIA MARIA’S TUNA, EGG AND TOMATO SALAD. My aunt in Italy made this and I flipped because I loved the flavors together. Who knew you could mix tuna and eggs? 4. 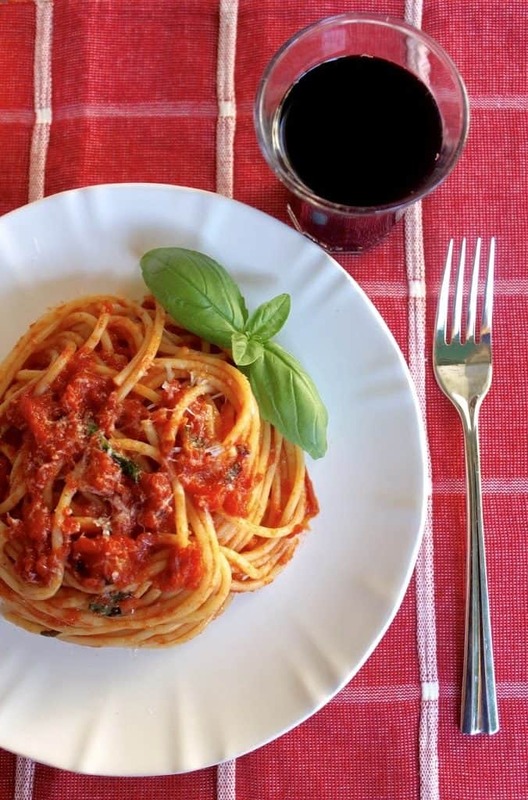 AUTHENTIC (QUICK) ITALIAN TOMATO SAUCE FOR PASTA. 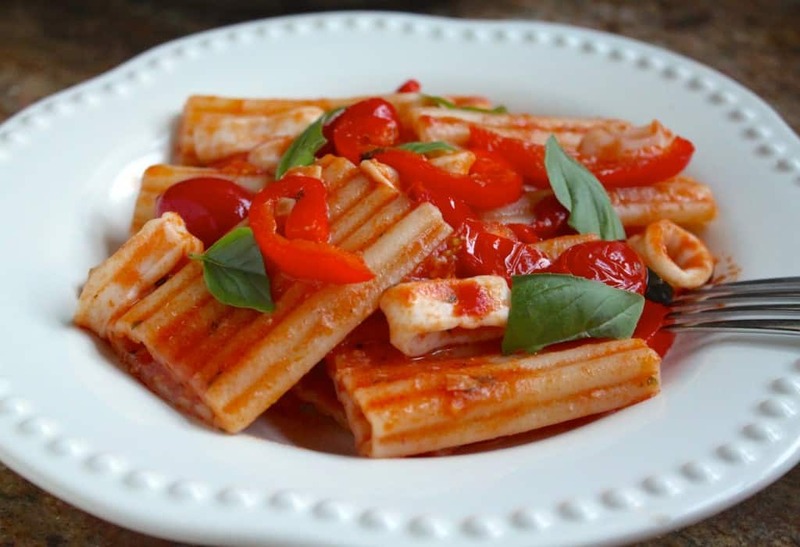 Yes, you can use real tomatoes and it will be ready before the pasta’s finished cooking! 5. 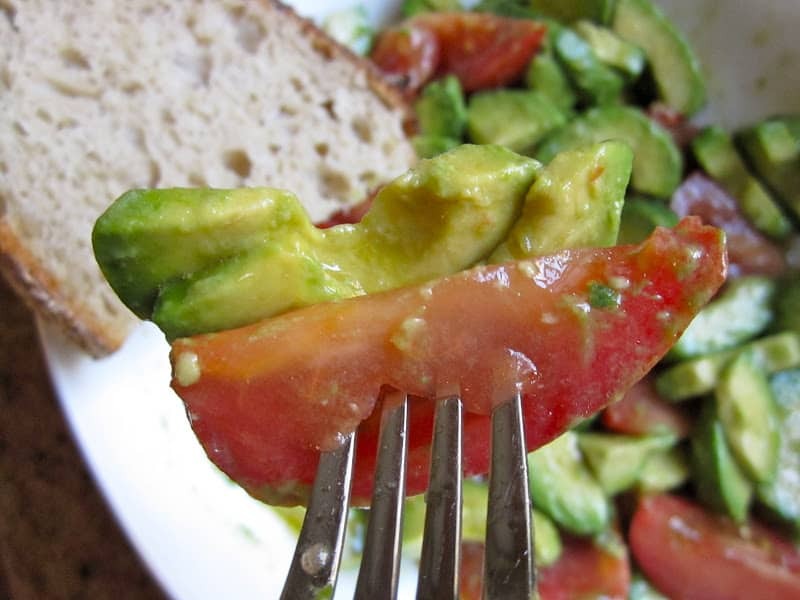 AVOCADO AND TOMATO SALAD. This combination is a match made in heaven, in case you didn’t know. 6. PIZZA! 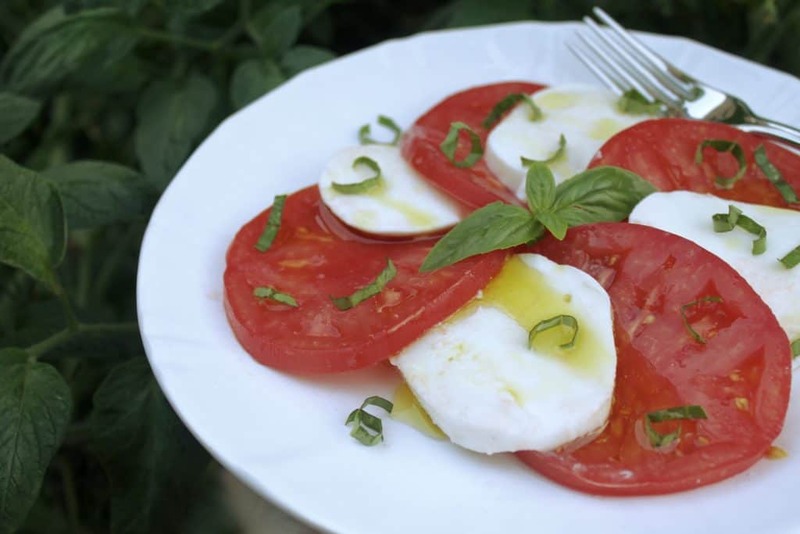 Step away from the processed tomato topping! This recipe is TOO easy! 7. 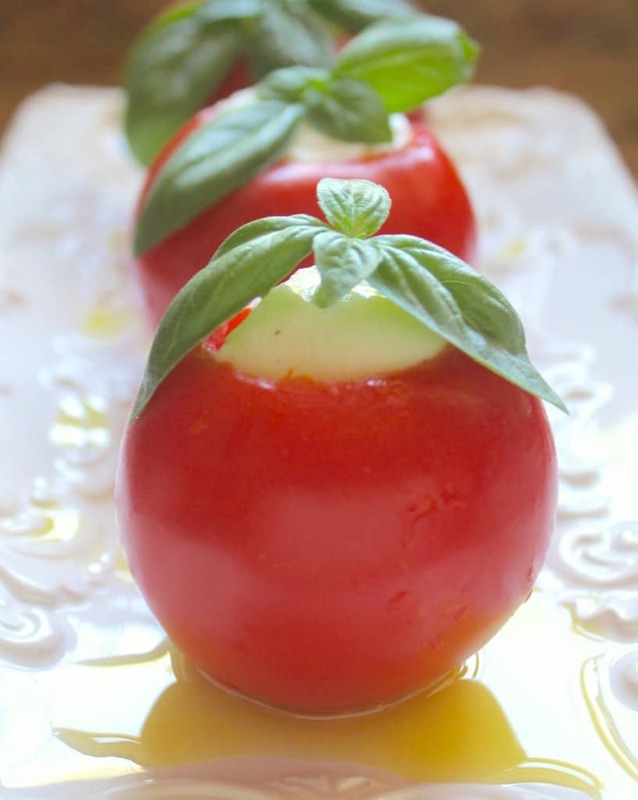 CAPRESE SALAD. A summer staple at our house and at picnics, Hollywood Bowl and Shakespeare nights! 9. 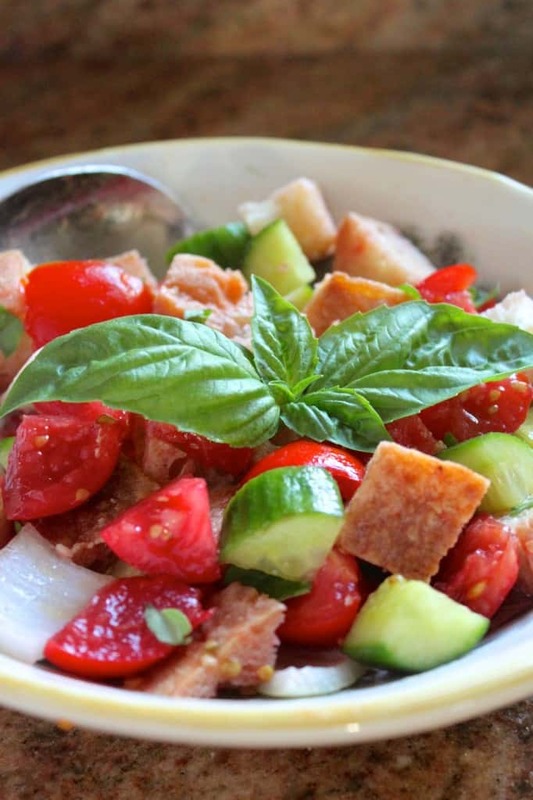 PANZANELLA a simple Italian salad with tomatoes in the starring role. 10. 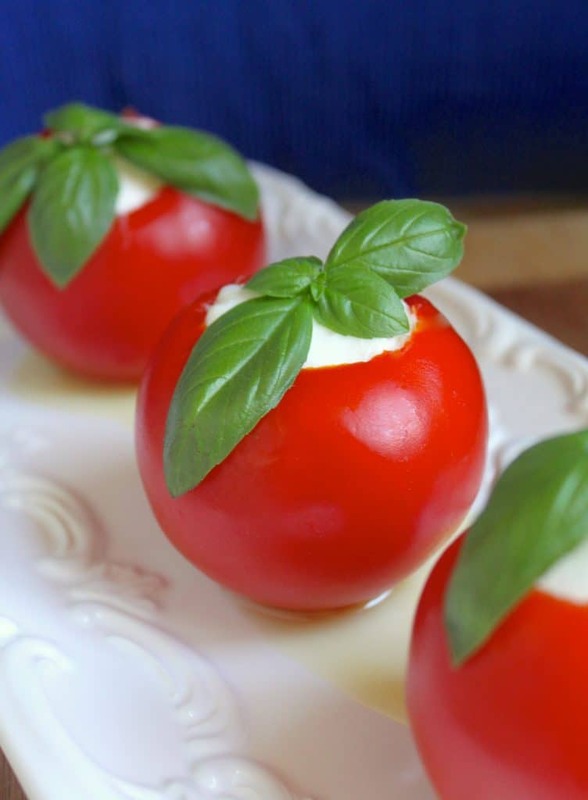 BURRATA FILLED TOMATOES so simple to make, but so impressive. 11. 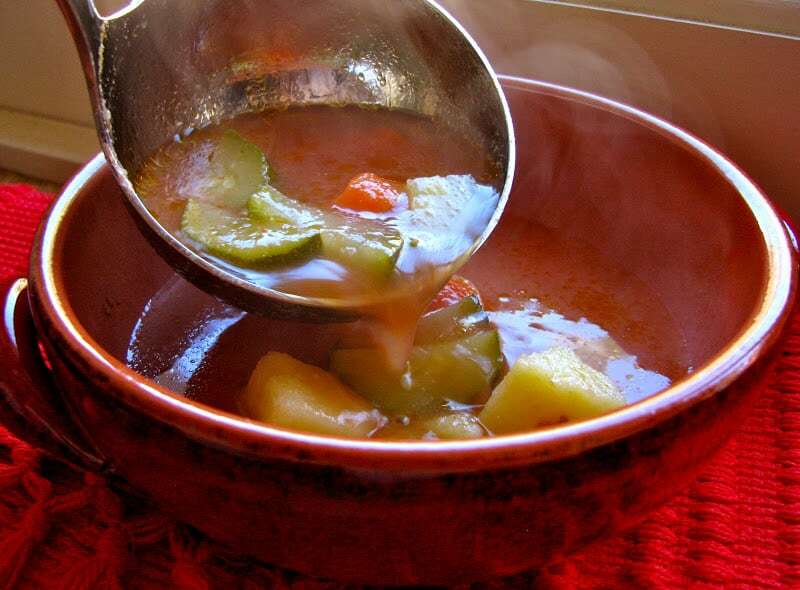 TORTILLA SOUP A great summer soup! 12. PACCHERI Seafood lovers will delight in this dish. 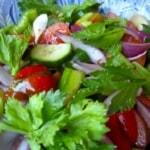 A wonderful roundup of recipes! 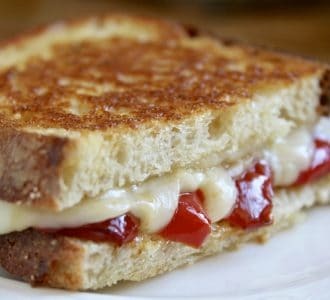 I just love the cheese filled ones, I can just imagine the difference in flavour and texture as one bites into it! 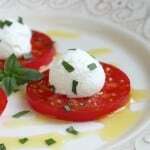 This is a great list of recipe ideas with tomatoes. 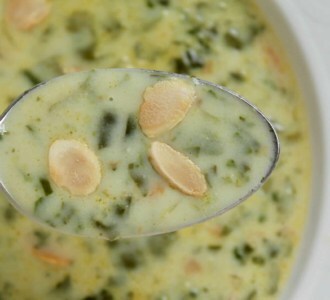 I make lots of passatta and freeze it for use in winter. Excellent way to use them, Nayna! Goodness, I haven’t had a tomato sandwich in ages!!! I have to have one now! Thanks for the reminder! I used to take them to school all the time! I am such a tomato fan, it’s one of my favorite parts of this time of year! Me too! Thank you, Krysten! I love this post!!! 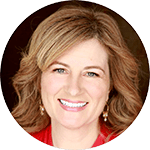 I can’t wait to try some of these recipes you posted! Especially the pasta ones!! 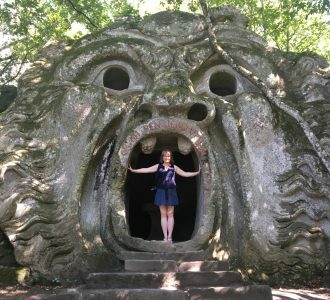 Thanks so much for this roundup! BROO-SKAY-TAH! I’ve always said it that way – don’t know why. 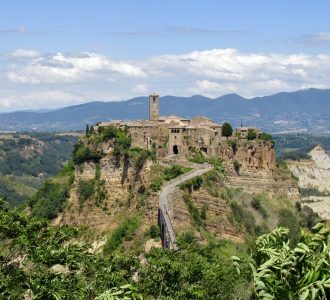 I’m not at all Italian – but am almost pure Scot. I never thought I would like some lil tomato thingys on bread – but I think these look irresistible, and I plan to try them real soon. I have discovered that Sprouts sells very good Italian bread, and that’s what I will use. Oh my goodness, if you’ve never tried them, you’re in for a real treat, Lee! So happy to hear you’ve been pronouncing it correctly! :) Enjoy! 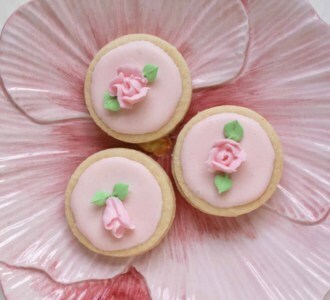 So many lovely recipes here, many of which I have made. 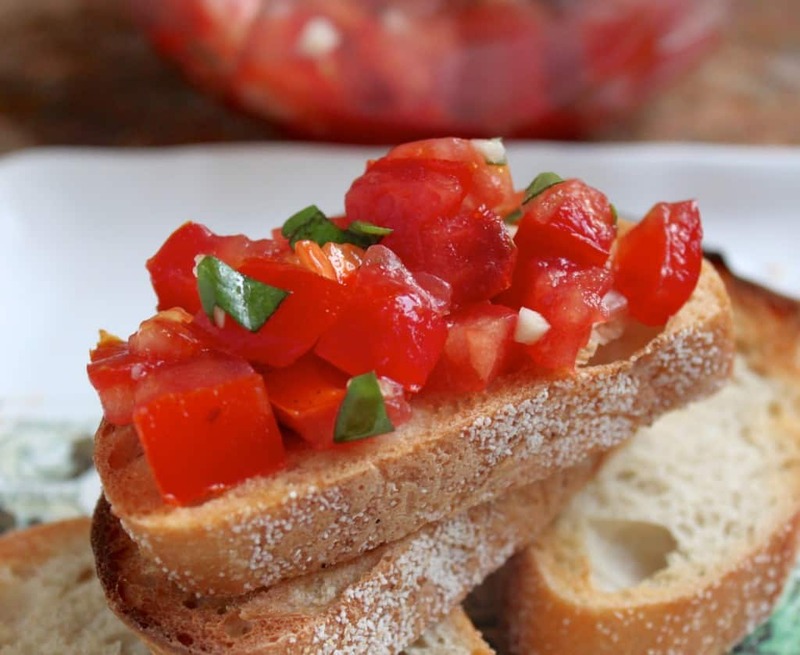 Don’t you love fresh tomato season? I miss them soooo much in the winter, David!!! Fresh garden tomatoes already! I envy. I got my tomato plants in late and since we are on the coast, they have yet to have anything but flowers on them yet. Sad about your tomato plants, but hopefully they will give you a new bounty later in the summer. I see a fried green tomato recipe in your future! Thanks for the inspiration. I will be heading to the farmers market. 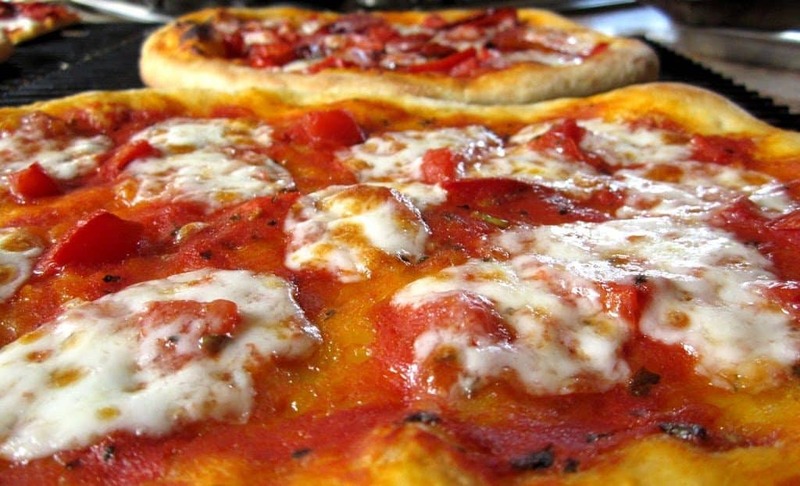 Wish I had your fresh tomatoes – they look delicious and all recipes for them too. 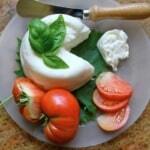 I need to stuff a tomato with burrata in my life! Great round-up. 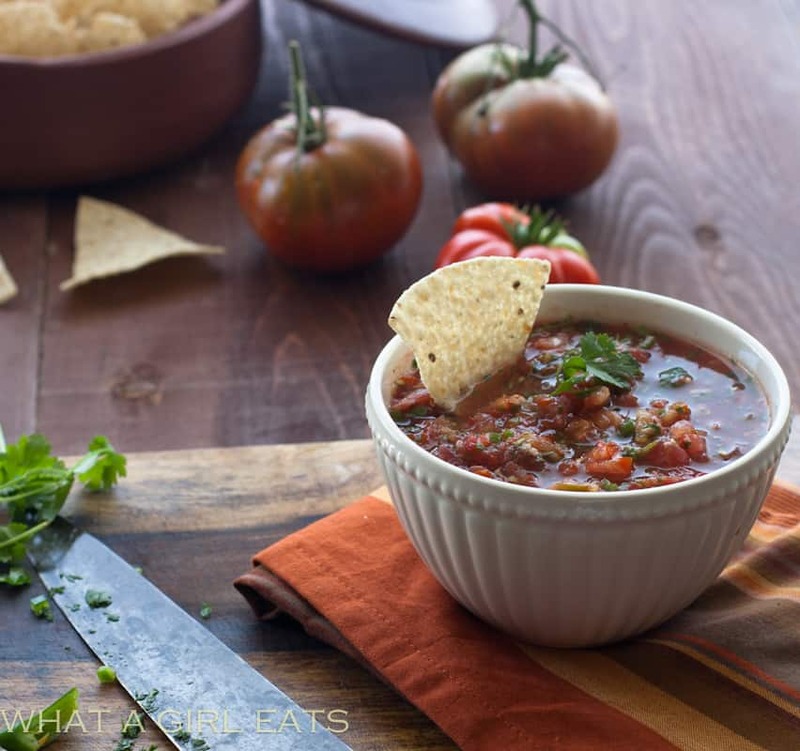 thank you so much for including my salsa fresca in your tomato round-up! I can’t wait til my tomatoes come in! Pinned, stumbled and yummed! My cup is runneth over with fresh tomatoes too!!! Don’t forget tomato pie!! With fresh purple hull peas??? A true summertime explosion! !